For the past week I have been using an alarm clock that is designed to gradually wake you up using light and sound. 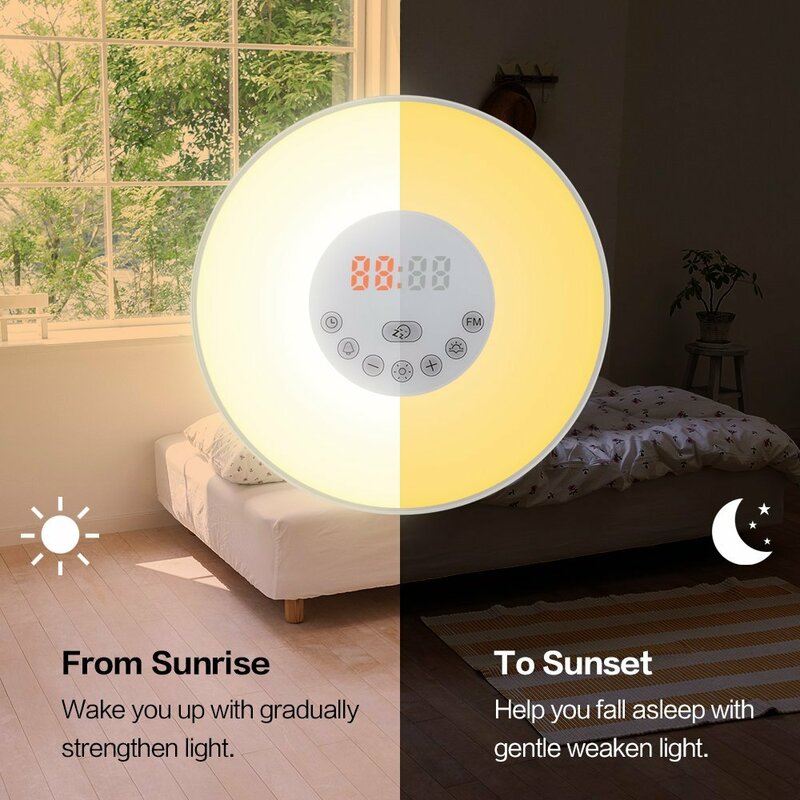 The clock radio has a sunrise and sunset simulation that brings you out of a deep sleep gently and gradually with a light that brightens over 30 minutes. 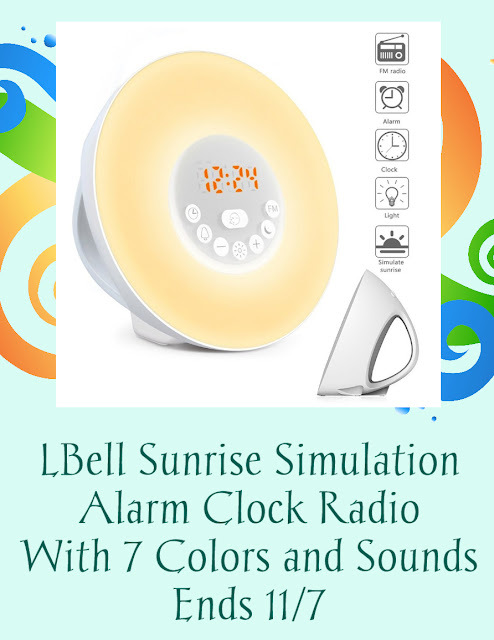 You can choose from over 7 alarm sounds like birds, forest, waves, violin, and others or even wake to your favorite radio station. There is a Snooze button for those who require one although I have never used one. My husband is a definite snoozer. The Snooze Button sets for another 5 minutes. The sunset mode will gradually decrease in brightness as it gets closer to bedtime to help relax and ease you into sleep. I believe this may be really good for younger kids who cannot tell time. When the clock starts getting dimmer, it is time to go to bed. 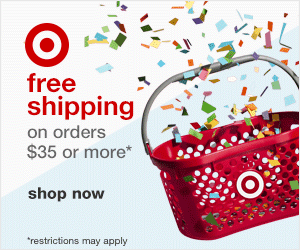 There are even 7 colors to choose from. 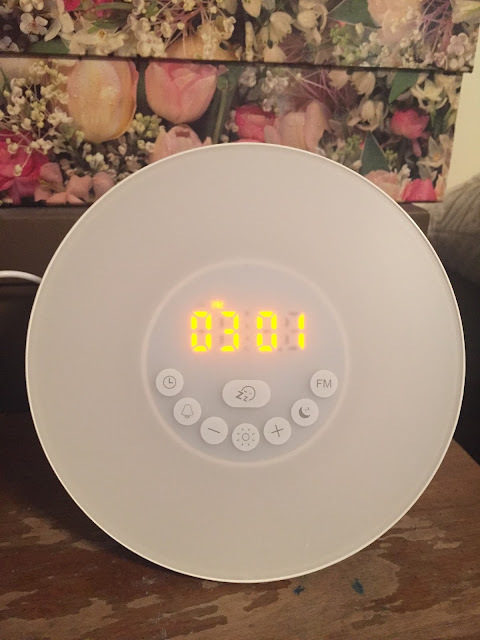 The clock was very easy to set the time and the alarm on. There is a full set of instructions with the radio. The radio does come with a USB charger, AC Outlet and you can use 3 AAA batteries but the light doesn't work without being plugged in. 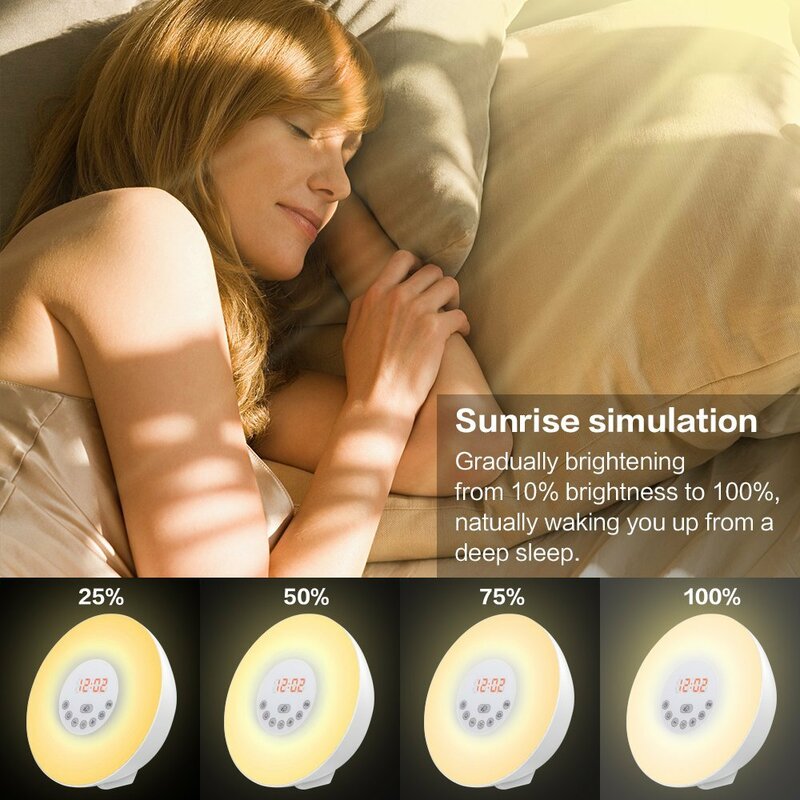 This is definitely better than just an alarm clock and I like the light setting for your body to adjust to morning. It definitely has me feeling more awake and I think that is because I am not waking to a dark room. My mind has already adjusted to the fact it is time to wake due to the light coming on before the alarm.